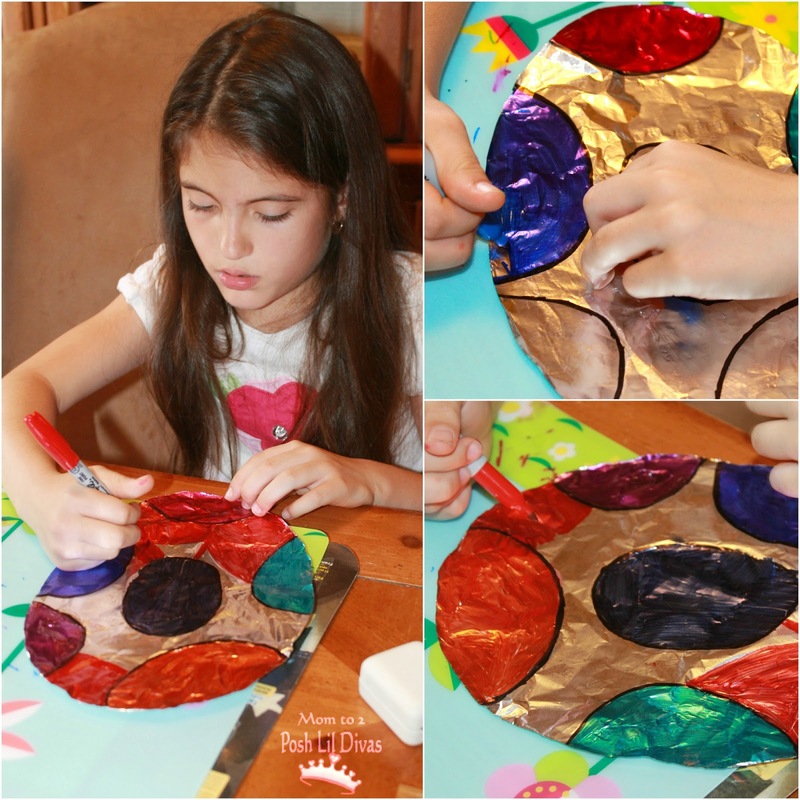 Aluminum foil is such a fun canvas on which to create art. In the past we have explored it using frozen paint and my personal favorite - sharpie markers! 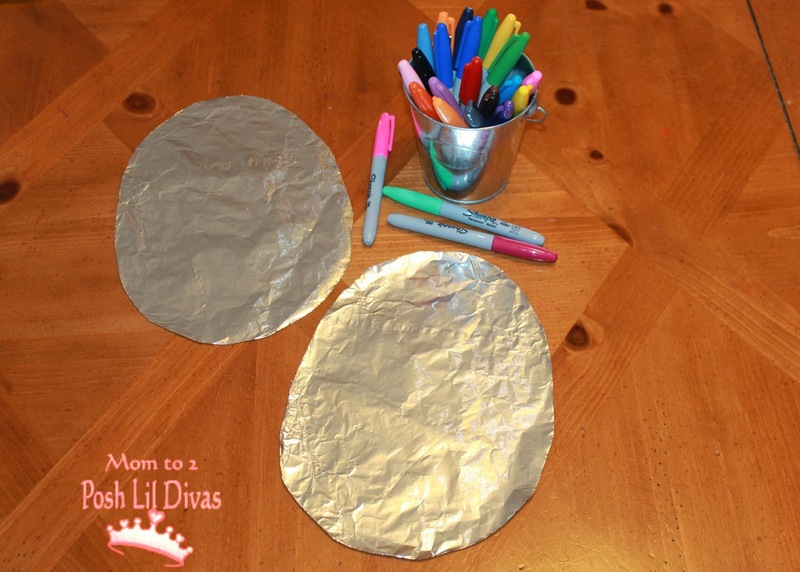 We had such a blast with it that I wasn't at all surprised when the Lil Divas suggested we do it again but this time to create spectacular Aluminum Foil Easter Egg Art. This was an easy, no prep activity for us which is my main requirement these days. 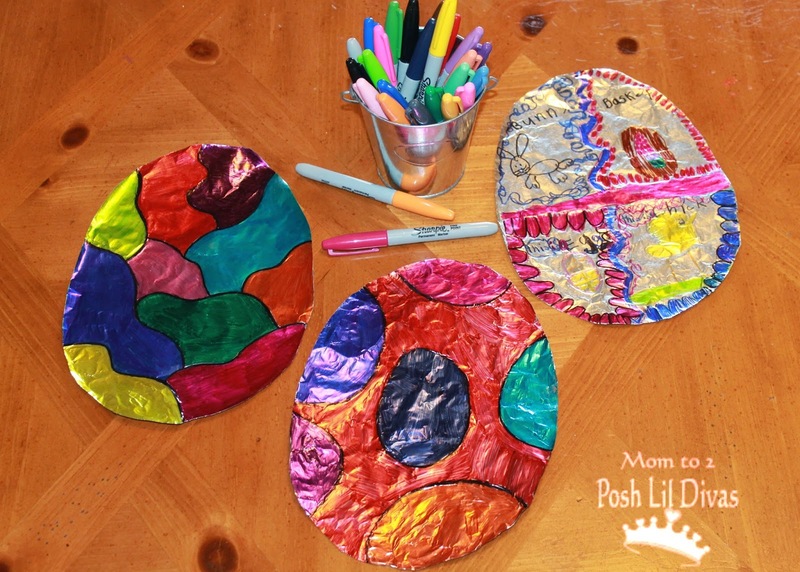 We had all the materials needed on hand (aluminum foil, sharpies and scissors) and within a few minutes the Lil Divas were settled on our table, creating fabulous Foil Egg Art. The great thing about this activity is that there is no real procedure. Let your creativity be your design guide. You can make pictures, draw lines or circles, use a black sharpie to create lines or let your colors blend with each other. There's no wrong way to do it. Get creative and then have fun decorating it or coloring it all in. The Oldest Diva opted to draw circles. The Youngest Diva decided to draw Easter pictures on her egg and added in some art deco to frame them into sections. Both designs were fabulous and unique - just like my girls are :) Btw, the 3rd egg you see is mine! Yes, even I got in on the creative fun and made my own tin foil egg. This activity is definitely for kids of all ages - including us kids at heart. 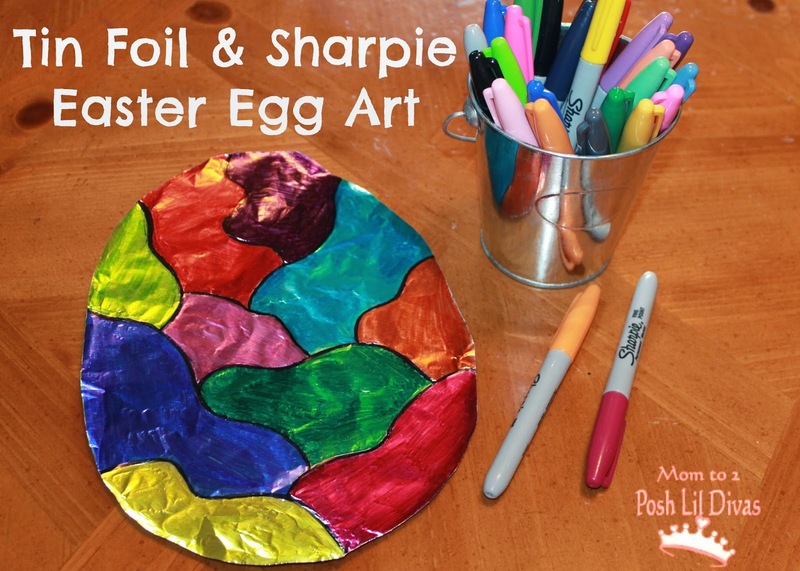 PS - this is an awesome art activity to do anytime, not just for Easter. 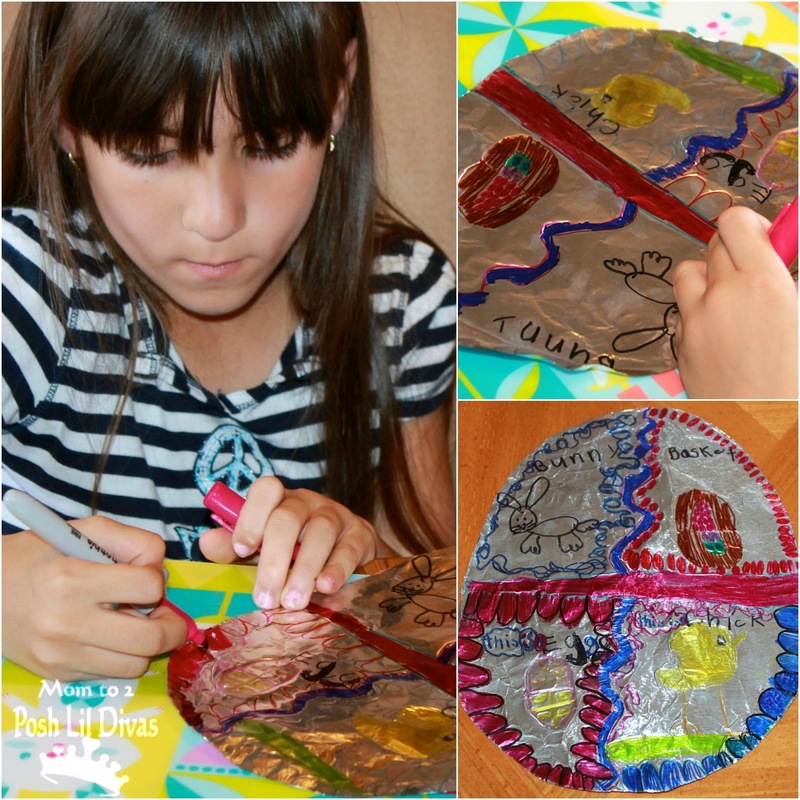 The Oldest Diva loves to sit down with a piece of foil and sharpies and just doodle and color as she pleases. Below is a picture of one of her past foil masterpieces that prompted the Easter Egg Foil Art. 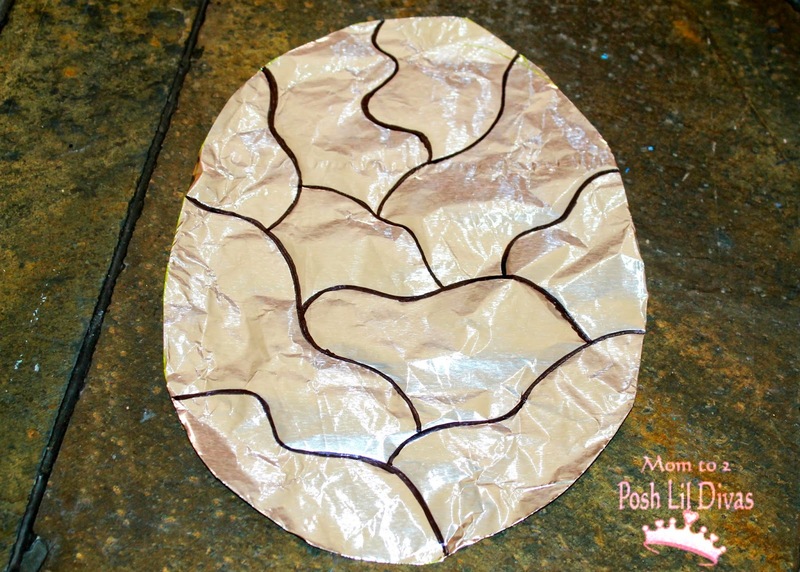 If you haven't tried foil art yet, I encourage you to try it today. It requires little prep and you can get as creative as you like. Try it with your children and/or students, then come back and let me know what you thought of it. I'd love for you to share a photo of your foil art masterpiece on our Facebook page. Now you just have to decide - What foil art masterpiece will you create today? This, as many of your activities, is awesome! I think even my older child would like to make one of these! Thank you Sara. I have to admit that this Big Kid LOVED it. It was peaceful to sit and make my design alongside my girls. Definitely a good one for mixed ages. What fun! I love the texture the foil adds to the art. Thank you! We loved how shiny and metallic it looked. A very cool piece to make and display. 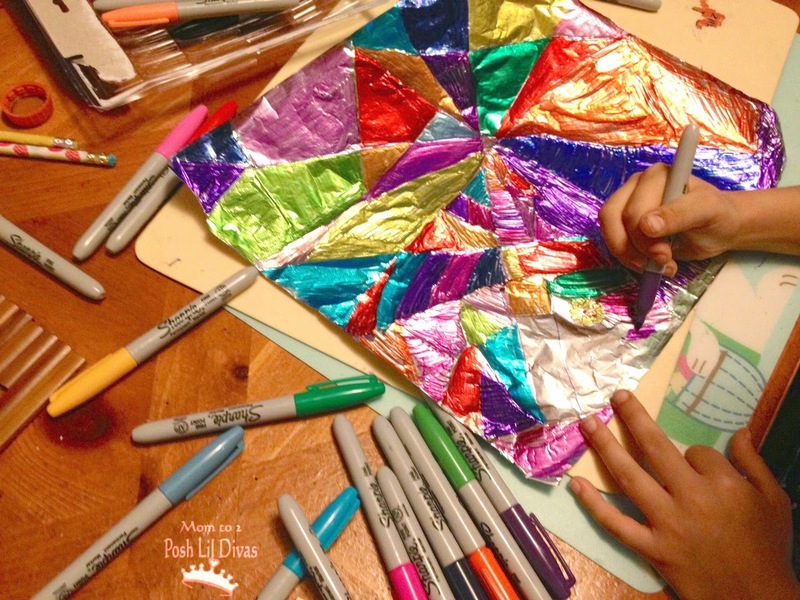 I remember foil art being one of my favorite things to do as a kid, thanks for sharing this I can't wait to show my daughter. I hope she enjoys it too. It's fun to change up what you draw on and the foil is such a fun, shiny canvas for art. It's one of my faves too Kim. Looking forward to trying this at The Messy Artist. Perfect! Mine are obsessed with permanent markers lately! Can't wait to try this one! from a first grade teacher. No, they won't work as well on the foil.